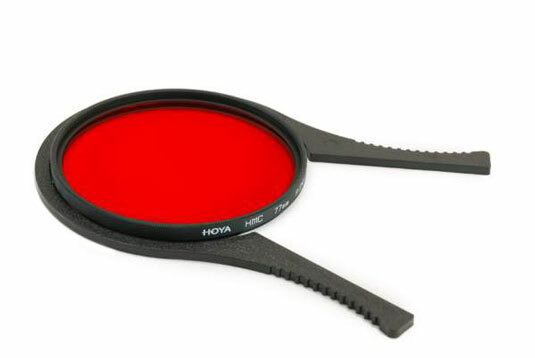 Filters (sometimes called optical or physical filters) work by literally getting in the way. You stick filters on the front of or in your dSLR lens so that light from the outside world has to pass through on its way to the camera’s sensor ― simple stuff. As light passes through a filter, something magic happens. Circular filters screw into the lens. Rectangular filters slide into a frame mounted on the lens. Circular filters are quite popular and easy to work with. Here is a small collection of Hoya 77mm black-and-white filters. They are round: This circular piece of glass (some filters are made from other materials) is mounted in a frame. 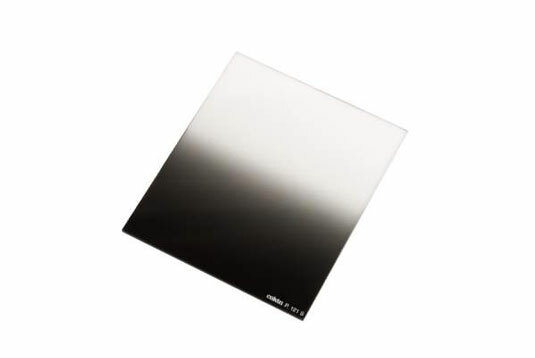 Higher quality filters use metal frames that are quite sturdy. They screw in: Circular filters screw into the front end of dSLR lenses. Don’t incorrectly thread a filter when you’re mounting it. You might ruin the filter or, worse, strip the threads on your lens. Take your time and, if necessary, back out the filter by turning it counterclockwise until you feel it correct itself. Then get back on track. If your hands are slippery and can’t grip the filter, get a gripper from a kitchen store and use its better traction as you grip the edges of the filter. Or, buy a filter wrench. They have a size: Filter are sized by their diameter (the distance across, going through the center), which is measured in millimeters. This is important. You must match your filter size with your lens. 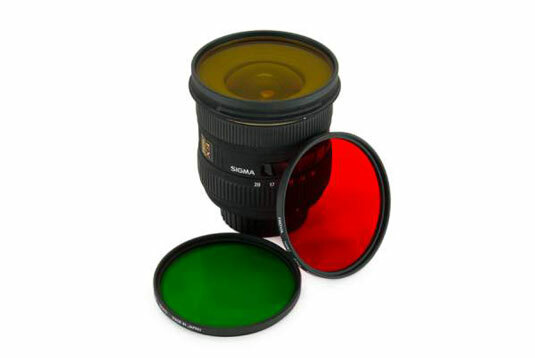 Many lenses have their filter size printed on the front or top. If it’s not in either of those places, check your manual. If you want to use filters on multiple lenses that require different filter sizes, buy a single, large filter size and use step-up rings to modify their size. 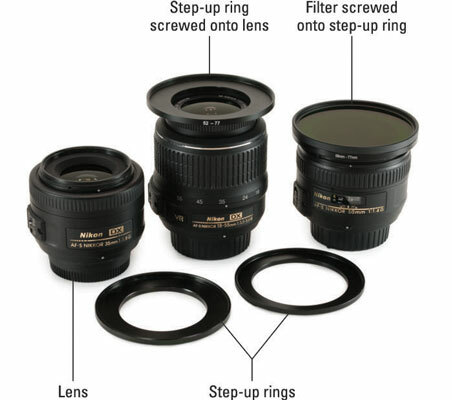 This means you buy a step-up ring for each differently sized lens, but only one size filter. If you go this route, make sure to get step-up rings that are large enough to fit your largest lens. The other main filter type relies on a frame mounted to the lens that enables rectangular filters to slide in and out. You buy the frame and enough adapters to mount it on your lenses, and one set of filters. As long as you have the right adapter ring, you can use the same filters on lenses of many different sizes. Adapter: This piece screws into the filter ring on your lens and has fittings to slide on the filter holder and make a secure attachment. Simply buy the correct adapter for each of your lenses and you’re ready to rock. 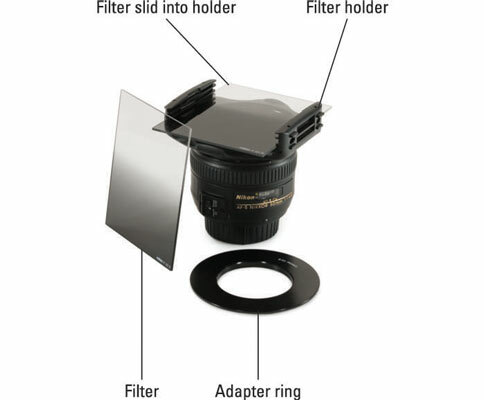 Read the manual to make sure this type of filter system works with the lenses you want to use it with. Most normal dSLR lenses work fine. Filter holder: This element holds one or more filters. The holder slides onto the adapter. Filters slide into the holder rather than screw into the lens, which makes changing them extremely easy. It also makes the filters compatible with many different lenses. There’s room for three filters in this particular adapter. Rectangular filter: The reason for the entire setup is the filter. It’s larger than a screw-in filter and is rectangular. Most rectangular filters don’t have frames around them, so be careful when handling them. You can buy filter wallets, sleeves, and boxes for storage. All in all, the rectangular system is ingenious if you have several lenses that take different filter sizes. Having a rectangular filter holder makes a robust filter library more cost effective. However, the size of the mount with filters is bigger and bulkier than the traditional circular screw-in variety.